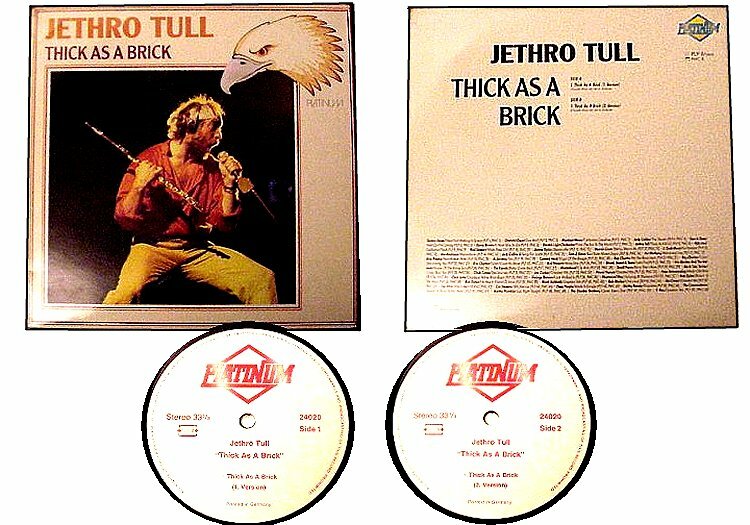 Thick As A Brick 1 version. Thick As A Brick 2 version. This is a Pirate copy of the first side of the official release of Brick split into 2 parts. Sound Quality Is Excellent. As Is The Cover,but it is only the first half of the Brick album. 1xLP. Black Vinyl.